Welcome To 3542 Eboe St. Resting On A Culdesac Lot In One Of The Most Sought Out Locations In Irvine, This 5 Bedroom 2.5 Bath Home Is Just What Your Client Is Looking For. Priced To Sell, This Property Features 2,600 Square Feet Of Living Space, And Sits On A 7,000 Square Foot Lot. Stepping Through The Front Door You Will Find A Floor Plan That Flows Perfectly And Is Filled With Natural Light. The Kitchen Has Been Updated With Newer Cabinets, New Paint, New Flooring. Looking Out From The Kitchen You Will Find The Family Room With A Fire Place Perfect For Relaxing On Those Cozy Nights. Through The Family Room You Have Direct Access To The Huge Backyard And Side Yard Perfect For Entertaining. Other Features Of This Property Include New Exterior Paint, Newer AC, Newer Double Paned Vinyl Windows, Scraped Ceilings, New Recessed Lighting, New Garage Door, Newer Windows, New Carpet. No Mello Roos. 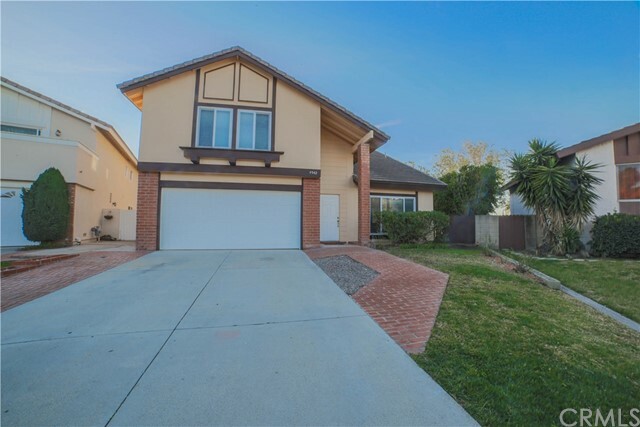 This Home Is Close To Freeways, Shopping, UC Irvine, And Is Located In The Award Winning Irvine Unified School District. Welcome Home.